ActiveRain asked me to participate in a survey last week. Along with 999 other Realtors®, I was asked what the top 10 seller mistakes are. The results of that survey were just released. As expected, there were not a whole lot of surprises on it…at least to us as the Realtors®. Don’t be silly, sellers. If you want to achieve your desired outcome, you should avoid these Top 10 Biggest Home Seller Mistakes that happen everyday. 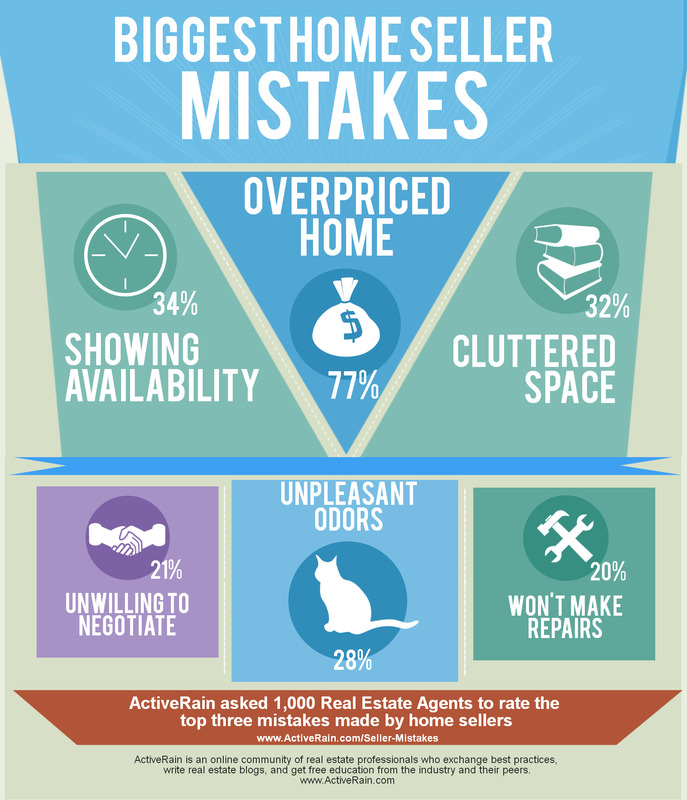 Without further adieu, here’s a quick infographic of those top mistakes that we, as Realtors®, see home sellers make most commonly. Ultimately, the longer a house sits on the market, and the more price reductions it has/shows, the more it will cost a home seller. This one shocked me. It only ranked #7 on the list from the surveyed group of Realtors®, however, I ranked it at the 2nd biggest mistake. I know this one truly falls on the seller’s Realtor®, but the negative implications ultimately fall onto the seller. 88% of buyers used the INTERNET as their primary home searching method. What’s the very first thing on the internet that a buyer looks at? The PHOTOS! No question about that. The photo is also typically what calls the attention of the buyer to clicking on a certain listing. The quality of the photo used in the MLS and online marketing is what will make the difference between getting 100 views and 1,000+ views. Make sure that your listing agent uses a professional photographer to photograph your house if you want to attract more views, more prospective buyers, and more offers to your house. This is a 100% guaranteed tactic to help achieve your desired outcome. In conclusion…price your home correct at the onset of marketing, and make sure that your listing agent uses professional photography. Between these two, you will drive the most amount of traffic possible to your accurately priced listing. That’s the perfect ONE-TWO punch for a successful sale of your home. Today’s spotlight is of a 3+ bedroom, 2-bath, 1,500+ sqft, single-story home in the Fletcher Hills area of La Mesa, CA. 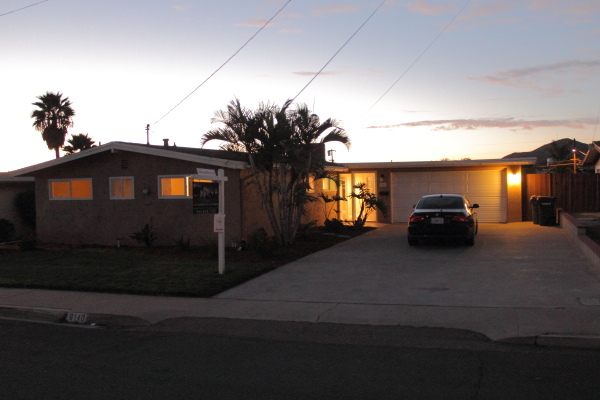 This home located at 6140 Howell Dr, La Mesa, CA 91942 has been completely remodeled head-to-toe. Listed as of today for $464,900, this home will be gone soon! So, what were my impressions? Walking into the front door offered a super wide entryway corridor that would be perfect for a long console table to throw your car keys and mail down onto, which seems to lack in most homes of this size. To the left is a small could-be-dining room that has a peek-through funky room divider to the adjoined den/living room. This “could-be-dining room” also has a fireplace in it, adding to the room’s warm and cozy feeling. This room was most likely the original configuration’s main and only living room. As the home is now, I’d envision this space as the heart of the home, where you’d sit for dinner and play a round of Uno with the kids after. Continue walking past the “could-be-dining room” and the bedrooms hallway to find the kitchen. Although the kitchen has been completely, 100% updated with all new glazed maple cabinetry, granite counters, glass tile backsplash, new plumbing fixtures, new recessed lighting, and new stainless steel appliances (wow, this is a run-on sentence…), the galley kitchen feels a bit small for the size of the home. Still efficient though for most families. Walk down the hallway towards the bedrooms to find the 2 secondary bedrooms, a good-sized bathroom for the secondary bedrooms (which you’ll see is nicely remodeled), and the master bedroom. The master bedroom sits at the front corner of the home, and feels to be the same size as both of the secondary bedrooms. The master bedroom offers a small, yet efficient, attached bathroom, comprising of a single-sink vanity, toilet, and square walk-in shower stall. At the end of the hallway that is the furthest from the bedrooms and bathrooms is a dual entry office/bedroom. The county assessor’s tax records indicate 4 bedrooms, so it is assumed to be technically designated as a bedroom. However, it’s small[er] size and french doors that open directly into the “could-be-dining room,” makes it challenging for use as a bedroom. I’d call this that perfect (and often needed) office or bonus room, but in those dire situations, could certainly fulfill the needs of being a 4th bedroom. Where in the world do you put your sectional sofa and TV, you say? Ask no more…. This house has a huge [seriously huge] 20’x14′ family that can be accessed just off the kitchen or the entryway corridor at the opposite end of the home. The room continues the same manufactured hardwood floors from the rest of the house, providing a nice tie into the house. The flow to this room actually works well. New vinyl dual-pane windows line the entire back/exterior wall of this room, offering great views of the infamous Cowles Mountain. Backyard access is located off of the family room (and the kitchen), which is a little constraining on wall space, but should work out just fine. The backyard has a small concrete strip of slab, some smaller trees and shrubbery, with the rest being recently sodded grass. The backyard has good level of privacy, although has an adjoining parcel’s 2nd story disturbing some of the westerly views. The backyard is the perfect size for the kids that want to play, yet the dad’s that don’t want to spend their entire weekend mowing the lawn. 6140 Howell Dr. was completely remodeled by the investor-owner. 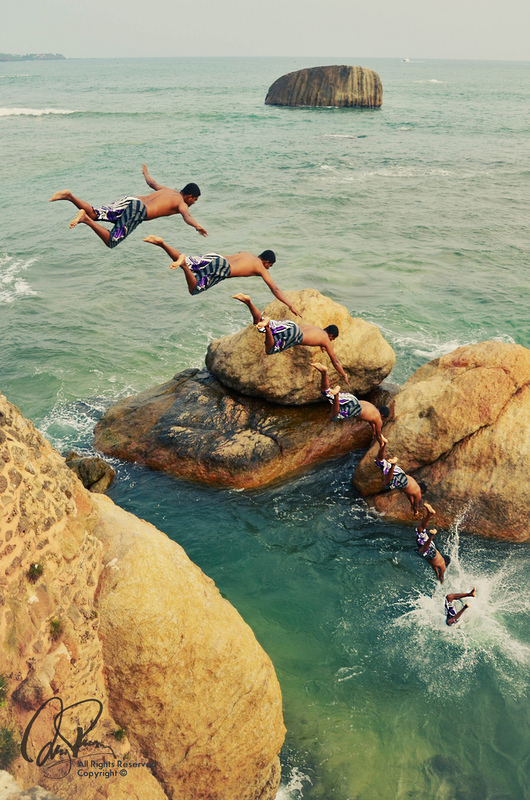 In my 10 years of experience in the industry, I’ve seen hundreds upon hundreds of “investor-flips.” They come in all shapes, sizes, and levels of quality. I’m going to go out on a small limb to suggest that this investor did a fairly good job on their remodeling. Just about everything on the interior was remodeled, but sometimes it’s the small things that stand out. The interior doors felt solid and the door knobs were not just low-grade. The floors could be better, but I don’t think need to be for this home. I’m giving the home an overall B+. The quality is good, the flow is good, and the office is a perk. However, the master bedroom and master bathroom were small. The Northmont Elementary School within a stone’s throw (although not on a traffic nightmare for the home) is an additional bump up in rating. Overall, the home will suit the right family, who will love the uniqueness of the home and carry on the pride of upgrades that exist. For a personal tour of 6140 Howell Dr, La Mesa, CA, text or call Daniel Vachon @ 619-200-4716, or email. Listed by Heather Stevenson of Prudential California Realty. Take that big sigh of relief now that we know what was to happen to the Mortgage Forgiveness Debt Relief Act. As of a couple days ago, we had no idea what was going to happen (well, most of us didn’t, that is…). The Mortgage Forgiveness Debt Relief Act of 2007 provided for relief from being taxed on the forgiven debt. Typically speaking, without this act in place, seller’s that sell for less than is owed (short sale) on their home, are subject to adding that dollar amount difference to their taxable income. This Act that has helped to give a little spark to the real estate market, and has certainly helped millions of underwater homeowners, was set to expire on December 31, 2012. But, wait for it…wait some more…ok, yes, it has been extended by congress for 1 additional year. Just yesterday, congress passed the ‘revised’ HR-8 into legislation yesterday. A part of that revision to HR-8 was that the Mortgage Forgiveness Debt Relief Act was to remain in affect until the end of 2013. This means that for one more year homeowners that are underwater, and that are in a position to short sell their home, and that actually do, will not be taxed on that difference between the home is sold for and what was owed to the lender(s). Of course, like anything, there are other restrictions to this, but there are also other options and alternatives to this Act’s relief. For a full breakdown of this Act, refer to this page. Will the State of California extend it’s similar relief act’s expiration to the same as what the HR-8 did? There is no specific information released as of this moment about such. Let my hunt begin. (Look for an update to this post once I have the info). Will congress extend the Act past the new expiration date of December 31, 2013? My take is ‘no.’ I guess we’ll be back to this same guessing game in about 354 days. But think about how much revenue the Internal Revenue Service is “missing out on.” There’s more to it than that, surely, so we will see. Think You Are Ready to Own a Home? Everyone wants a home of their own – it’s the American dream. Enjoy the freedom to express yourself in your own home, without the snooping landlords. You can do just about anything you want in, on, and in your own owned home. Take my home for example. I am married to an interior designer who cannot live with white walls. Therefore, our kitchen walls are green and our kitchen cabinets are now black. Do you think that a landlord would allow us to do this at our own will? Not a chance. But before you go jumping in, ask yourself some questions: Are you ready to settle down and take on the financial responsibilities and lifestyle changes that come with homeownership? Or might you be better off renting? Spend some time evaluating your near-term goals. Might a better job opportunity send you packing to another city or state? Is your income likely to remain the same, increase, or could it decrease and jeopardize your ability to meet your monthly housing costs? Homeownership is best viewed as a long[er]-term commitment because selling a house is a costly and often time-consuming undertaking. The serious homebuyer should plan on staying in the house for at least two years – though that’s a minimum. Typically, the better rule of thumb is to have a goal of owning the same house for at least five years. It’s simply not profitable and it could end up being quite costly to buy and then sell your home less than two years. Even if a booming housing market allowed you to turn a nice profit, the proceeds would be subject to capital gains taxes. 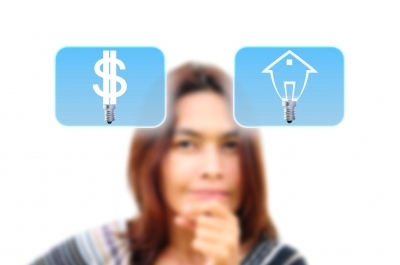 Making the transition from renting to homeownership is exciting, but yet challenging. As the new owner of your very own home, you are now the “landlord” (of yourself!) This means that when that old copper pipe breaks, it’s up to you as the the homeowner, to either personally fix the problem or hire a contractor. The same remains for maintenance and overall property upkeep. But for those who’re willing to take on the challenge, the benefits are many. Homeownership is a form of forced savings. 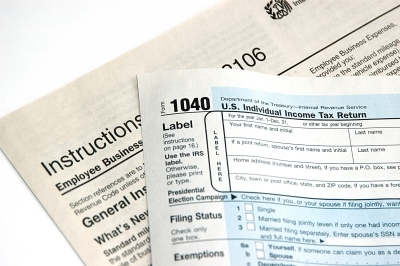 With the deduction of mortgage interest and property taxes from your federal and state income taxes, you will be paying less in those cumulative income taxes or getting a larger tax refund. Additionally, the accumulating equity in the property can act as a savings account that you can access when you are ready to sell.